It is part of the nature of scapegoating, as the late French theorist of mythology René Girard argued, that the target is not chosen because it is in any way responsible for society’s woes. If the target does happen to be at all responsible, that is an accident. The scapegoat is instead chosen because it is easy to victimize without fear of retaliation. 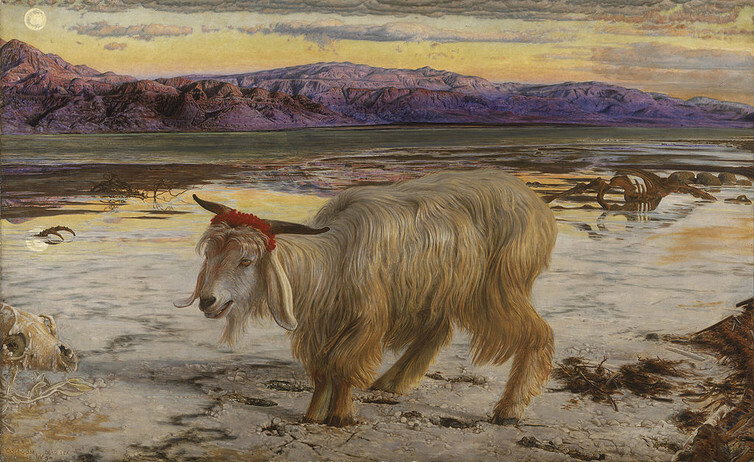 The name “scapegoat” comes from the Book of Leviticus. In the story it tells, all the sins of Israel are put on the head of a goat, which is then ritualistically driven out. Needless to say, the goat is not really guilty of the sins. If we want to understand this ritual, we must first understand the nature of human violence. Girard observed how many cultures characterize violence in terms of infection and contagion. In communities without a strong legal system, justice is carried out through private vengeance. But each act of vengeance provokes another, and violence can spread like a plague. “Blood feuds” – chains of violent reprisals – have been known to wipe out entire communities. To polarize the community’s aggressive impulses and redirect them toward victims that may be actual or figurative, animate or inanimate, but that are always incapable of propagating further violence. Girard’s insights can also be applied to modern society. The results of the US election and the UK referendum have been partially explained by the economic anxiety felt within former industrial regions that have been left behind by globalization. The blame for this anxiety lies with the political classes, the elites, the Washington and London “insiders”. They put their faith in an economic model and ignored its effects on ordinary lives. They made no visible effort to create new jobs in communities that had been built around heavy industry. It was as though they hoped the people would rust away alongside the machines. In a social sense, scapegoating “works”: it concentrates violence on a small, powerless set of victims and prevents it from triggering a dangerous chain reaction of reprisals. Of course, this is no consolation to the scapegoats. For them, there is only the hope that society might one day have less cause for violence altogether.